In a heart rending incident during the Holy month of Ramadhan , two members of the same family were attacked and shot martyred on spini road in Quetta it was learnt shortly. The martyrs have been identified as Shakeel and his sister Bibi Hawwa. 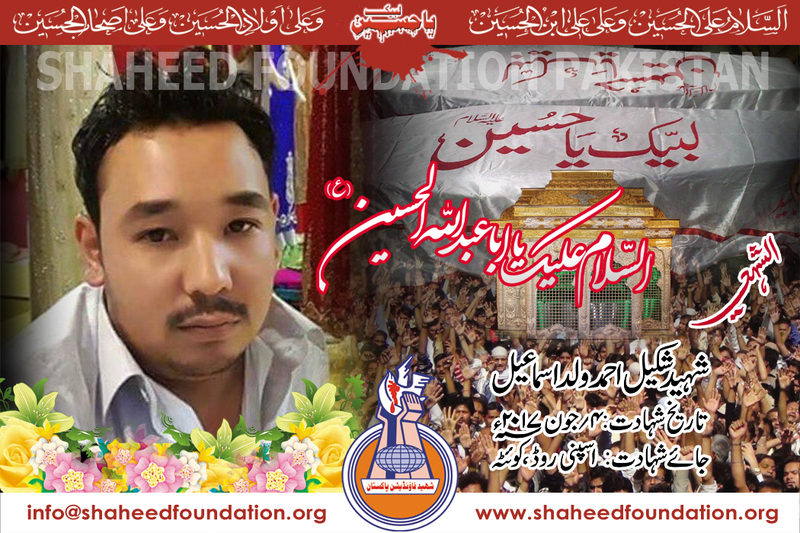 Please recite a fateha for Shaheed Shakeel,Shaheeda Bibi Hawwa and all Martyrs of Millat-e-Jaffaria Pakistan.